live collaboration between ataraxy and doering of zahnbeitel at raumstation sternen (auggen, germany). doering and gehmann (of ataraxy) reviving zahnbeitel. it’s harsh! it’s noise! it’s machine! it’s meat! some ethereal travel as well. be prepared for buran to douse you in a torrent of eardrum ripping cataracts of sheer noise rife with loads of subtle nuances, and even catchy industrial-happy rhythms. imagine fierce machinery relentlessly pulling it off on top of antarctic ice shelfs torn apart by unimaginable force while neutrinos shower the surface of the mediterranean sea. what you hear is in fact the background noise of the mediterranean sea at an approximate depth of 6500 ft., disrupted by the occasional neutrino. 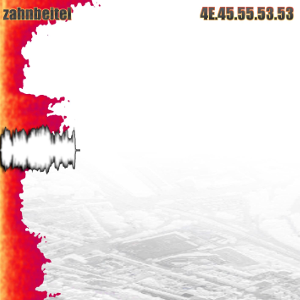 these sounds are, as customary with zahnbeitel projects, llwmed to the max. buran is russian for blizzard, by the way. this recording is dedicated to the russian space shuttle of the same name.